Sancti Spiritus (Cuba) -- Buildings, structures, etc. Sancti Spíritus is a city in central Cuba. Sancti Spíritus is Latin for Holy Spirit. 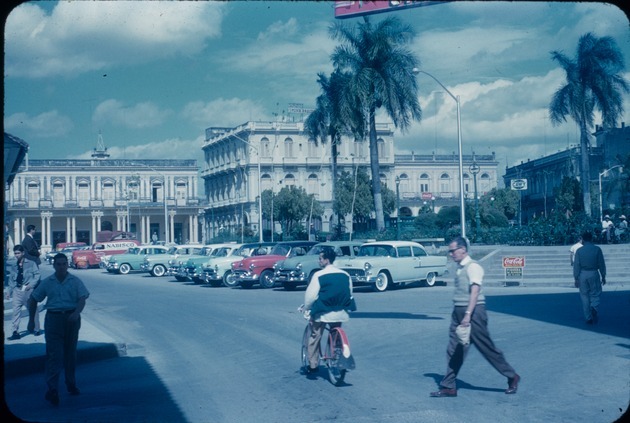 Visable in the photograph are numerous old American cars, and several people walking throughout the plaza.